Mega Evolution rule : This is when Pedro has arrived at India. He built a factory but was attacked by First Nations. 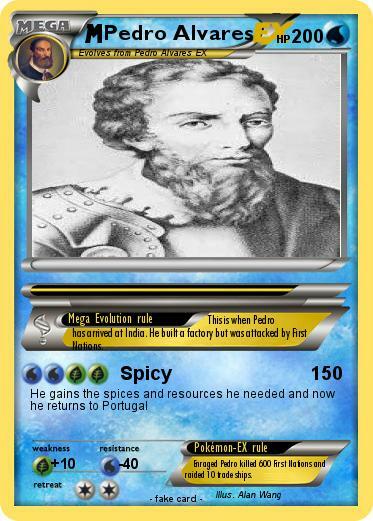 Pokémon-EX rule : Enraged Pedro killed 600 First Nations and raided 10 trade ships.